Strathspey Performing Arts Centre would like to extend a wide, musical invitation to youth between the ages of 5 – 18 years of age. 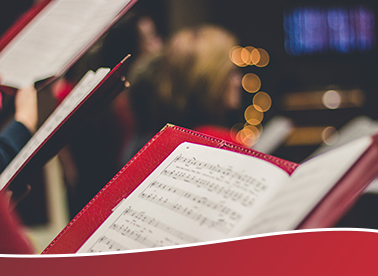 This musical endeavour involves the creation of a Christmas Choir! Not just any choir though, this will be a choir with harmonies, full band accompaniment, it will be fun, creative, and the best of all, everyone will have a chance to sing some of those great traditional Christmas songs that help us celebrate the Christmas season. The short-term goal for this group would be to perform a Christmas concert on Wednesday, December 19th, 7PM at SPAC. The long-term goals for this group is to work towards a Spring choir concert in 2019. Strathspey is looking for male and female soloists, instrumentalists, any youth who are interested in performing as part of a group. This is intended to be an educational experience that is interactive, fun, rewarding and professional, with opportunity to work alongside professional accompanists and technicians as part of the process. Practices will take place at Dalbrae Academy each Tuesday afternoon from 3:30 – 4:30pm, beginning on Tuesday, October 23rd. Bayview or WEC students who choose to become involved may take the bus to Dalbrae after school. If you are interested in joining the group, or if you have any questions, please contact Tracey or Camille by Monday, October 22. Thank you all!